SleepTalk® for Children is a Self Esteem Program for Children and the Entire Family because there is no separation between a child and parent’s wellbeing. The Goulding SleepTalk® process is the 2 minute gift you give your child, with benefits that last a lifetime. The process is positive, gentle and easy to learn and apply. It takes parents only 2 minutes every night. It’s absolutely safe, ethical and positive. SleepTalk® is for people who are looking for a simple, non-intrusive self-esteem and behaviour change process for children, one that can help parents achieve what they want most – happy children and happy families. It is a simple yet powerful self-help program developed by educator, speaker and hypnotherapy professional Joane Goulding which parents and carers have been using for more than 30 years, because it works. Hundreds of case histories are heart warming and testament to the success of this process. Natalie Cossar is a registered SleepTalk® Consultant and an accredited SleepTalk® Trainer. Book Natalie for a speaking engagement or to arrange a private conversation to help your child. Parents can learn the SleepTalk process via this series of video tutorials launched in 2017. You can learn the process at your own pace. Watch and learn from this 19 video series. You can stream them on your tablet or mobile phone. Anna C. Mallon is the creator of 6Weeks2StartUp. She is a transformational speaker, trainer, and coach. Her winning passion, energy, and drive have led global businesses to sustainable growth through innovation, entrepreneurship and collaboration. In our business we continue to learn lessons from her work that enhances our business and allows us to keep up with the ongoing changes and demands. We recently completed her 6Weeks2StartUp online program and highly recommend it. 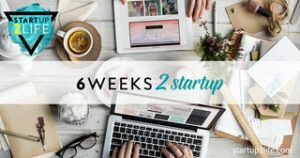 “Create and Live the life you want” is Anna’s mission – Turn your passion into a business and get paid for the skills and knowledge you already have with the 6Weeks2StartUp Course from StartUp2Life. We’re doing it and that’s why we want to let you know about it.